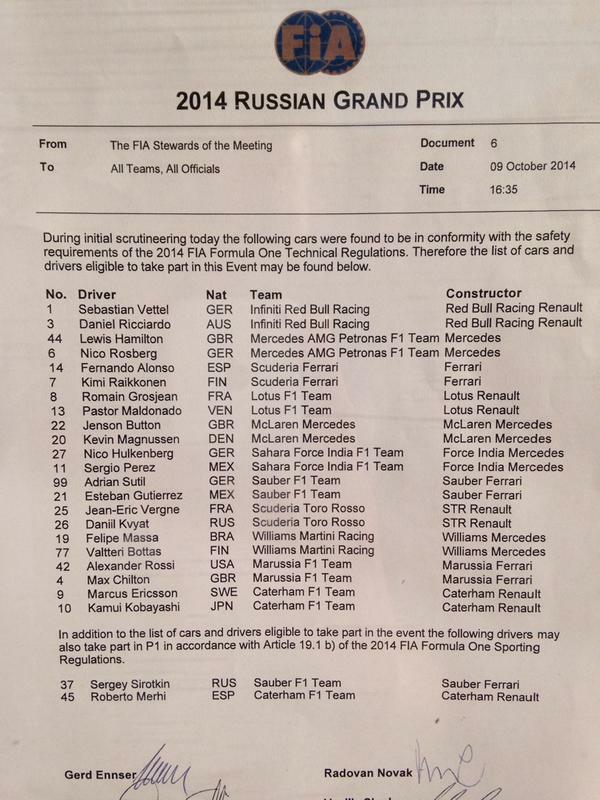 In accordance with the 2014 regulations, three free practice sessions were held. Two one and a half-hour sessions on Friday and another one-hour session on Saturday morning. Per the regulations the teams were allowed to replace one of their regular drivers with a test and reserve driver during the first two sessions.Mercedes's Nico Rosberg set the fastest time in the first free practice session, seven hundredths of a second ahead of teammate Lewis Hamilton, and two tenths of a second faster than McLaren's Jenson Button. Elsewhere, Williams's Valtteri Bottas carried out limited running after the tyre blankets designed to keep his tyres at the optimal operating temperature were found to have failed, damaging his tyres. Russian driver Sergey Sirotkin made his Formula One début, driving for Sauber in the place of Esteban Gutiérrez. He finished the session seventeenth overall, two and a half seconds slower than Rosberg and four tenths of a second behind Sauber teammate Adrian Sutil. Roberto Merhi also took part, driving in the place of Caterham's Kamui Kobayashi in his third appearance of the season for the team.